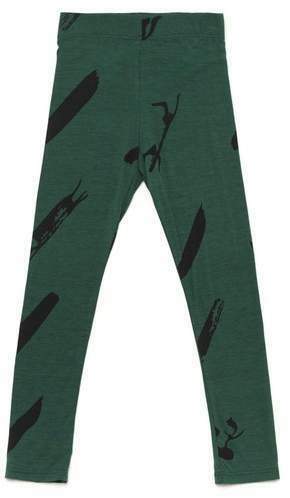 Suggest that your girl pair a white sweater with omamimini omamimini leggings with print pine green for a comfy outfit. As for footwear your little girl will love brown boots for this getup. Suggest that your girl opt for a pink ruffle long sleeve t-shirt and omamimini omamimini leggings with print pine green from Orchard Mile for a comfy outfit. As far as footwear is concerned, suggest that your little one rock a pair of red sneakers.